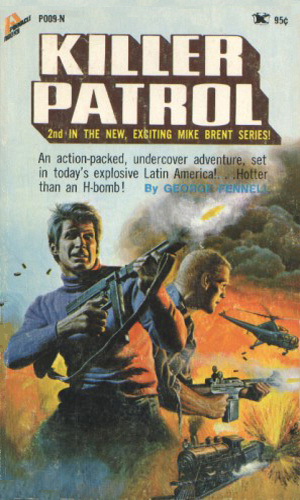 Mike Brent is a Green Beret seconded to the CIA. Brent, holding the rank of Captain, is an experience soldier who was once placed in charge of eleven men, all Special Forces. 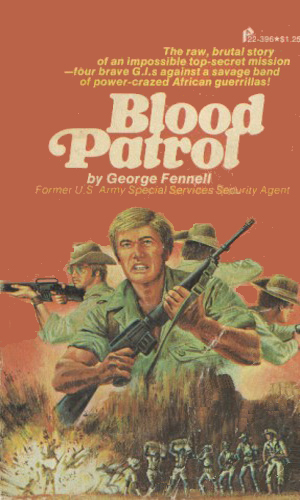 This highly trained team was assigned to the CIA to go where fighting was needed instead of subtefuge. The missions were invariably deadly and lives were lost in the fight. With the large number of missions the team had been on, attrition had been high and only 4 were left as the series begins and even that would change quickly. A member of the Ninth Special Forces, Brent had a great deal of respect for the men that he has lost and carries a personal burden over their deaths. His second-in-command, the one non-Beret of the group, has less of a problem with it, not through any animosity but through having been in war so long on so many fronts he is inured. This man is Hans Schmidt, a former German Wehrmacht with a chest full of medals to show his bravery. Brent and a teammate wonder, though, whether the solemn soldier might not have been an SS officer for the coldness he often shows. The first book is almost totally a military operation, even though the assignment was given them by the CIA. The second book details a far more covert mission, undercover, still for the Agency but with Brent and Schmidt taking the role of businessmen. This is not a situation to which they are accustomed, however, as they laugh together about their situation. Schmidt comments that "the tiger does not change its spots" but still, they try. A Soviet agent of the KGB is boiling up discontent in Ethiopia and the Agency wants him put down. Mike Brent is sent in to not only take out the man but also to find out exactly he was really up to. The weapons being smuggled into Latin America to be used by rebels appear to be American made, causing embarrasment for the U.S. But Mike Brent is sent in to prove they were really Russian made, and to stop the flow. It was the second book that convinced me to put this short series in the collection. Both have the secret soldiers fighting as they were trained but in the second, the main character has to do more than shoot and duck so the books are here. It is fun to watch two life-long soldiers take on the role of undercover operatives since it is obvious they have no training for it. They are trained to fight and anything else is alien. The action is the key to this series. Not a lot of thinking is involved. The writer did a good job and the action is up to par. Little character development and stereotypes for bad guys but fairly entertaining nevertheless.